Evil triumphs when good men stand aside and do nothing – Edmund Burke. We have taken the liberty to reproduce a post from online Sikh discussion groups regarding the Dasam Granth issue, and the troubling silence of some groups representing the interests of British Sikhs. No one is disputing that some compositions thought to be those of Guru Gobind Singh were placed into the Dasam Granth (DG). These have been identified by Sikh scholars and are incorporated in our Nit Nem and in the Sikh Reyat Mayada, which could possibly do with some revision. Reopening discussion on these, at this particular time however, is an unnecessary diversion. 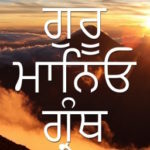 THE MORE SERIOUS QUESTION NOW FACING THE PANTH IS, SHOULD WE ALLOW THE REST OF THE DASAM GRANTH, WHICH IS WHOLLY CONTRARY TO SIKH TEACHINGS, BE CONSIDERED AUTHENTIC SIKH SCRIPTURES? Common sense will say that the very idea is outrageous. Sikhs believe in one God who is beyond birth, while a third of the DG is devoted to the exploits of various incarnations of Hindu deities. The Sikh Gurus taught the dignity and equality of women. Guru Gobind Singh gave women the name or title Kaur, literally ‘princess’ to emphasise their elevated status. Against this, the DG has a voluminous section denigrating women. Despite the above, there are still many who find it difficult to accept the blindingly obvious, and want scholarly evidence. It doesn’t take a learned scholar or so-called Think Tanks, to open the Dasam Granth, and simply look at the contents. I reproduce below some of the more printable lines of Chritar 202 on the ‘Wiles of Women.’ The Tale of Chapal Kala. And blissfully made love to him. He gets happiness and provides exhilaration in women. Otherwise, however strong he may be, the woman is not satisfied. The above is a small part of 404 lengthy compositions, many in more starkly pornographic language, on the supposed wiles of women found in the DG. What CAN BE MORE INSULTING TO SIKHS THAN HAVING SUCH WRITINGS READ ALONGSIDE THE GURU GRANTH SAHIB in our gurdwaras? This is actually happening in gurdwaras in Smethwick and Tiverton in the UK, as well as in Patna Sahib and gurdwaras in Punjab-with the blessings of the RSS beholden SGPC. Sikhs should ask why has the Indian government spent hundreds of crores of rupees printing copies of the DG other than to dilute and distort Sikh teachings? What does it take to wake our sleeping Sikh community? Scholars such as S. Gurmukh Singh who suggests that this is a matter for the Panth to sort out, do the community a disservice. What is the Panth, other than a collective noun to describe committed Sikhs who follow the Gurus’ path? ALL members of the Panth should stand up and be counted in a collective effort to stop this insidious attack on our religion. Those in a position of influence or authority have a particular responsibility. S Gurmukh Singh is an adviser to the Sikh Federation, the Sikh Council and the Sikh Missionary Society. It is not enough to play the detached observer. He and others with scholarship and authority should tell organisations with which they have influence, to end their support for this deliberate debasing of the Gurus’ teachings. If their advice on such a critical issue is not heeded, they should publicly dissociate themselves from those, who for their own motives, pursue such anti-Sikh policies. S Harjinder Singh, another detached observer and adviser to the Sikh Federation, rightly says he is unhappy with what his brothers in the Sikh Federation are doing. When someone is setting fire to your house, you should do more than say you are unhappy with what they are doing. It is increasingly becoming evident that the Sikh Federation is the active wing of the Sikh Council and the rest of the organisation is either indifferent, or too cowed to condemn the stance of its more aggressive partner. Sometimes I feel that the Network of Sikh Organisations (NSO) is acting alone in the UK highlighting Sikh concerns on this issue, although some smaller organisations like the British Sikh Federation and the Akhand Kirtani Jatha and many individual Sikhs have indicated their support for our stance. We appeal to other Sikh organisations in the UK and abroad to publicly declare where they stand on one of the most important issues facing Sikhs for many years. While more than 75% of the Dasam Granth is wholly contrary to the teachings of the Gurus, there are some compositions which could well be those of Guru Gobind Singh. In the 1930s and 1940s a committee of prominent scholars looked at these and included them in the Sikh Reyat Maryada in 1945. They are in consonance with the teachings of the Guru Granth Sahib and form part of our daily Nit Nem. The authors of the Dasam Granth have borrowed these teachings and placed them in their Dasam Granth. This does not mean that the Dasam Granth as a whole should be considered to be on a par with the Guru Granth Sahib. 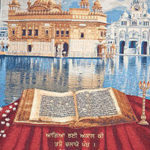 In the opening composition of the Guru Granth Sahib, Guru Nanak emphasies that there is only one Creator who is above all notions of human birth. In contrast, a large part of the Dasam Granth is devoted to the exploits of 24 so-called INCARNATIONS of the Hindu God Vishnu. The Guru Granth Sahib stresses the dignity and complete equality of women, while much of the Dasam Granth is devoted to the denigration of women, often in the crudest of language, which brings us back to my initial posting. Should Sikhs and Sikh organisations stand idly by when crude attempts are made to give equal credence to the teachings of Dasam Granth and the Guru Granth Sahib, thus distorting Sikh teachings and diluting them with Hindu mythology? The Network of Sikh Organisations (NSO) has already stated its opposition to this attack on our teachings. Encouragingly Sikhs in Canada, Malaysia, the USA and the Akhand Kirtani Jatha have also voiced their concerns. I again appeal to other UK Sikh organisations so far silent, such as the Sikh Council, the Sikh Federation (and its offshoot the Sikh Network), City Sikhs, Ramgharia Council, Sikh Education and Welfare Association (SEWA), the Sikh Missionary Society, Nishkaam Sevak Jatha and others in the UK and abroad to stand alongside us and use their clout to condemn this attack on our religion. With this clear injunction in mind, why the deafening silence from Sikh leaders and Sikh organisations about the antics of those in Patna Sahib who have placed the cleverly named Dasam Granth alongside the Guru Granth Sahib? Why the silence over the action of the Jathedhar there asking us, on the 350th anniversary of the birth of Guru Gobind Singh, to ignore the Guru’s clear injunction on the primacy of the Guru Granth Sahib and say, ’Guru manio Granth and Dasam Granth’. Those who have studied the Dasam Granth will know that for the most part it consists of praises of Hindu avtars, denigration of women and frankly pornographic tales. Could there be a greater insult to our Gurus and the world Sikh community than placing such writings, wholly contrary to the Gurus’ teaching, alongside the Guru Granth Sahib? Sikhs should wake up and ask, why has the government of India spent hundreds of crores of rupees printing and distributing the Dasam Granth, other than to dilute and Hinduise Sikh teachings? Something the Punjab government did a few years earlier for similar motives. The Network of Sikh Organisations UK (NSO), has consistently emphasised that the Guru Granth Sahib is the sole religious guidance for Sikhs and we should shun all sants, babas and now politicians and self-seeking Jathedhars who would have us believe otherwise. This is the position of the NSO. What though is the position of the Sikh Council, The Sikh Federation, the Sikh Network, Ramgarhia Council, City Sikhs, British Sikh Federation, Nishkam Seva Jatha (whose leader Mohinder Singh is in Patna) and similar organisations in the USA, Canada and other parts of the world. The world Sikh community is entitled to clear unequivocal answers and action from those who claim to represent them. Silence also speaks volumes. The Home Secretary’s recent visit to Southall gurdwara to discuss hate crime is a welcomed gesture of goodwill, but has the government’s biased approach to non-Abrahamic faiths changed? The visit on 21 December 2016 came subsequent to a letter we addressed to the Home Secretary on 30 Nov 2016. Despite chasing, we’ve yet to receive a response. 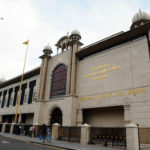 During the intervening period however, the Home Secretary has managed to accommodate a visit to Southall gurdwara to discuss ‘the importance of tackling hate crime against Sikhs.’ Regrettably comments from Sikhs who met the Home Secretary during the visit have been unhelpful. The NSO has long been highlighting the government’s inadequate approach in tackling hate crime against non-Abrahamic religions. During this time, concerns have been raised with both the Home Office and the Department for Communities and Local Government (DCLG). Remarkably, the government’s hate crime action plan ‘Action Against Hate’ failed to acknowledge the suffering of Sikhs, Hindus and other non-Abrahamic faiths. Furthermore we understand that non-Muslims are still being recorded incorrectly under the ‘Islamophobic hate crime’ category, despite revealing this through FOI last year. This is simply not good enough. We are not aware of a single government funded project to tackle the suffering of Sikhs or Hindus, nor is there a separate government funded hate crime monitor for either community. News that a gurdwara has made a successful bid for improving security through a Home Office scheme is welcome. We were also heartened when Greg Clarke, (former Secretary of State for DCLG) wrote to Lord Singh last year, confirming religious hate crime would be dissagregated come April 2017. However it’s clear much more needs to be done in order to create a level playing field. 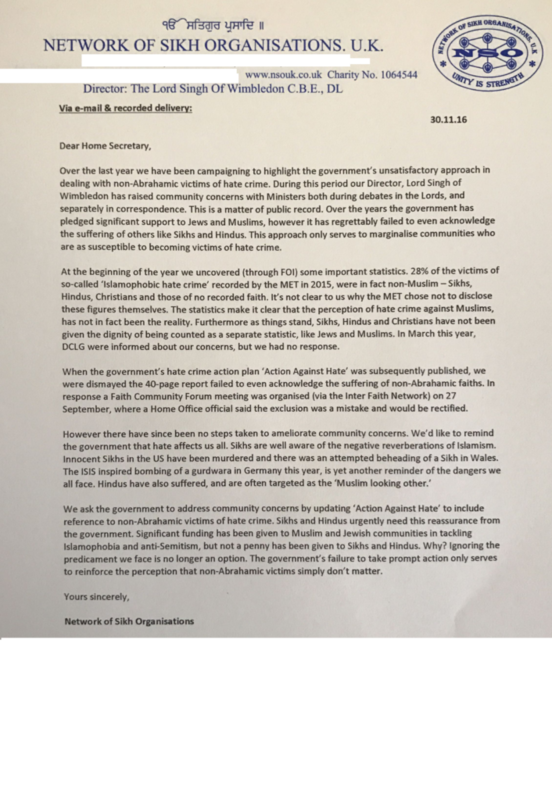 For the sake of transparency we’ve decided to publish last year’s letter to the Home Secretary, which was supported by other leading Sikh and Hindu organisations.